When you think of Spain, you likely envision Barcelona. Maybe your mind leaps instead to the beaches of Mallorca or Ibiza. Here's another option that combines the best of those two options: Valencia. When you think of Spain, you likely envision Barcelona. Maybe your mind leaps instead to the beaches of Mallorca or Ibiza. Here's another option that combines the best of those two options: Valencia. We spent 3 days in this coastal city just a short train ride south from Barcelona or north from Alicante and wondered why we never considered it before. It has everything you'd want in a vacation location: the beach, music, history, culture and food. And romance? Oh yes. We stayed here as part of our book tour for Married with Luggage: What We Learned About Love by Traveling the World, and it definitely fit the theme. Public transportation is good, it's a walkable/bike-able city and there are plenty of green spaces. There is a huge museum complex and there are plenty of art and music venues. And since it is in Spain, you'll still find plenty of good, reasonably priced wines. In fact, as we were leaving on our last day, we wondered why we weren't living in Valencia! 1. Staying at the Beach: Even though it was a short metro ride away, we felt like we were in another world at the wide sandy beach. We stayed at the Hotel Petit Miramar with a view overlooking the sea. To wash off the sand, we could soak in a tub big enough for two and then wander down the boardwalk in search of "tinto de verano" (a simple sangria made from red wine and carbonated lemonade) and watch the artists create giant sand castles. 2. Biking in the Sunshine: Biking is easy in Valencia because it is flat and trails are easy to find. You can bike all the way out to the nature reserve outside of town or just enjoy the giant park within the city. Rentals can be found all over town through Valencia Bikes. 3. Rocking the Night Away: Who needs the clubs of Ibiza when you have rooftop discos at great locations like the waterfront and the garden on top of the Arts and Sciences Museum? And if dancing isn't your thing, check out one of the many cafes for some outdoor socializing over wine or the local specialty, "Agua de Valencia." 4. Drinking Spanish Wine: Spaniards know their wine, and in Valencia you can sample from large cellars at restaurants like Casa Montaña (within walking distance of Hotel Petit Miramar). 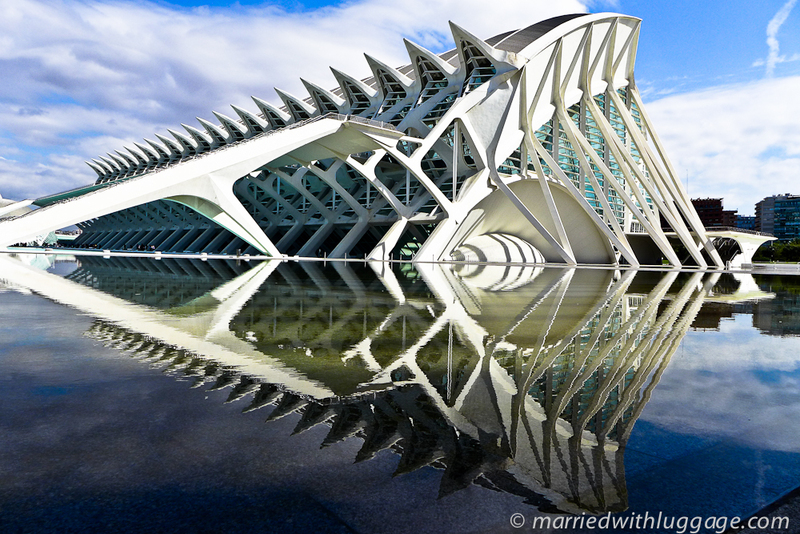 If you have a car or join a tour, you can travel to the outlying areas of Valencia to visit wineries that produce terrific Spanish wines and sparkling cavas. 5. Indulging in Valencian Paella: Just outside the city of Valencia within the Albufera Nature Park is a small area known for making over 40 different kinds of paella. There seem to be more restaurants than houses in this tiny enclave, and here you'll find Valencianos enjoying a Sunday paella for lunch with their families, made from "bomba" rice that grows in the region. Whether you're looking for the culture and history of Barcelona, the beach of Mallorca, or the nightlife of Ibiza, Valencia has it all. The people are friendly, the weather is superb and the price is right. We'll definitely be back!